When it’s time to apply to college, grad school, law school, or med school, one of the most important steps to take is writing the personal statement. The personal statement is your opportunity to toot your own horn. Take full advantage of it and show why you have what it takes to succeed in the real world. 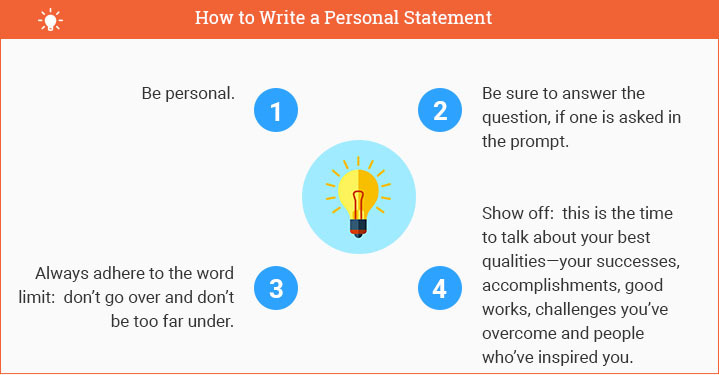 The definition of a personal statement will typically come in one of two forms—either it will be a general but comprehensive overview of you, your accomplishments, your skills, your drive, your interests and your goals; or it will be a response to specific prompt given you by the school to which you are applying. It is not uncommon for schools to ask a question of the applicant to see whether the applicant can give a well-reasoned, focused, and convincing response. The key to writing a great personal statement is to spend some time in reflection. Go over the things that make you special and unique, the qualities that make you a good worker, a good student, a good community member, and so on. This is not the place or time to doubt your own abilities. If there is ever a moment in life when you should be proud and let your light shine, it’s in your personal statement. Helpful Hint: Real-life admissions representatives have said that the most critical thing an applicant should do is read the questions and respond to them. Preparing a generic statement ahead of time and submitting it as a personal statement to every school to which you apply only works if no specific questions are being asked of you for your statement. Usually, colleges will want a statement that is tailored just for them—i.e., they will ask applicants to discuss a challenge they have faced or to discuss what motivates them. Rule #1 is: Pay attention to the application and answer the question asked of you. To begin, you should first do some brainstorming. Think about what makes you unique or what stands out in your personal history as most impressive. Think about your accomplishments, some challenge or obstacle you overcame and how you did it. Jot down some particulars—some details that help put your life in perspective: think of people in your life who have influenced you or shaped your outlook. Also, consider the school to which you are applying. Consider the field of study. What do you know about this field? Write down some notes on why the field is right for you. Write down some notes on your current occupation (if you have one). Make notes about any volunteer activity you have done. Make notes on your personal qualities (are you a leader, empathetic, passionate, thoughtful?—give examples of each if you are). Don’t try to paint yourself in a way that you imagine might satisfy the admissions representatives. Just be yourself—be who you are: you are already unique, so just represent that uniqueness in your brainstorming and your personal statement will stand out all on its own. Rule #2: Answer all aspects of the question that is asked of you, and if no question is asked of you, give your personal statement a thematic framework so that it is focused. Start your statement off with some background information on yourself that ties into the main theme of the statement or that relates to the question asked of you. Use transitions to move from this general info into more detailed explanations of who you are, what you’ve accomplished, what you want to study, why you want to study it, why you think you’ll succeed, why this school is where you want to study, and why you would make the school proud. Rule #3: Adhere to the word limit that the application places on you for the personal statement, if one is given. Representatives want to see whether you can be concise and follow directions. If you can’t, guess what—your application is likely to hit the dust bin. There is no special format required for the personal statement. It should be typed in Times New Roman, 12-point font. Avoid using bold, underline or italics. If the personal statement is submitted online, paragraphs may be spaced by adding a space between paragraphs. The best way to start the statement is to brainstorm before writing. Reflect on your life, your abilities, your ambitions, your creative and intellectual pursuits. Consider what activities give you joy, the challenges you’ve faced, how you’ve grown as an individual. Consider the people in your life, those who’ve impacted you and those you’ve impacted. Consider it all: this is the tapestry of your life. The individual weaves and threads twine together to show you who you are. Reflect this tapestry in your personal statement by making a list of the qualities of your life that you deem most important. Underline essential concepts that you wish to convey in your statement—ideas that make you stand out like a bas-relief. Bring these ideas together in your opening statement. Highlight the one concept or two that feels like a good starting point or launching pad. Place this concept at the beginning of your statement so that the rest of the statement will proceed from this one point in an arc that will land you at your destination—the summation of your thought: the overall point that you would like the representative to understand about you. The length of the personal statement will more than likely be dictated by the application. Most applications to colleges place a word or character limit on the entry. Typically, however, you should try to limit your personal statement to between 1-2 pages. Try to keep it around 500 words or 5000 characters as a basic rule—but always be aware of the recommended word length or limit given by the college on the application form. There are many types of personal statements, and, depending on where you are applying, your personal statement will be a little different each time. Let’s look at some of the most common requirements for a personal statement when applying to graduate school, medical school or law school. Graduate school is your opportunity to really begin focusing on continuing your education to enhance or further your career opportunities. Thus, grad school and your chosen profession are commonly intimately connected. Therefore, discuss your chosen career in your personal statement for graduate school entrance and describe why you believe the school to which you are applying will facilitate your chosen career goals. This is also an excellent time to convey your experience in your chosen field: describe any internships, shadowing experiences or research projects that you’ve worked on or been a part of. The more you can show that you’ve achieved, the more you will look like the type of excellent candidate for grad school that any university would love to have. There is no one way to craft this statement: you can tell a story or touch on important highlights. It’s up to you—just remember to be yourself. Personal statements for medical school should focus on why you want a career in medicine, why you are well-suited for such a profession, how you developed an interest in it, and what experience you have in the field. Most med schools will want to see that your schooling has not had any interruptions—so if for some reason you had to take time away from your studies explain this in your personal statement. Again, you can convey this information by way of a story, a personal belief, or whatever method you feel works best. Law school might sound like a place where everything is meant to be by the books—but with your personal statement you actually have a lot of leeway to be creative and be yourself. The main point of the personal statement for law school is to let the real you come out. Grades and test scores will be seen elsewhere in your application: here, the admissions board will be looking to see if you can effectively communicate your character and your experiences in a way that is compelling. Ever since my time as a literature major as an undergraduate, I have wanted to be a professor. I always admired my professors and desired to obtain the depth of knowledge and passion they had for literature. For myself, the passion was there—it had been since I received my first book of poems as a child. Now I want to deepen my knowledge and put myself in a position to help others enter and experience the world of literature. The modern classics of Russian literature are where I want to focus. The works of Gogol, Dostoevsky, Tolstoy, Solzhenitsyn and many others have impressed me more than any other works I have ever encountered. Their richness, beauty, harmony, humor, and insight have given me a fondness for and appreciation of life that I doubt I would possess had I not discovered these great authors and their books and stories and plays. I owe this discovery not to any happenstance but rather to the devotion of one professor in particular—Dr. Higgins—a teacher and personal mentor whose lectures have inspired me on countless occasions. He opened up the world of Russian literature to me and I will forever be grateful. The great joy I have in speaking of Russian literature is incomparable as a result of his teaching, and I desire nothing more than to be able to spread that joy to others by ultimately becoming a professor of Russian literature like my mentor. I have worked on two published reviews of the works of Gogol with Dr. Higgins—both of which required our attendance at a conference in Moscow and the use of research facilities there. My time in Moscow and our combined efforts helped strengthen my love for the Russian people, their literature, their history and their wisdom. I want to build on that love by continuing my education at this university, which is renowned for its literature program and respected around the world. My goal is to obtain a doctorate in Russian literature and follow in the footsteps of my mentor Dr. Higgins, carrying the torch of Russian literature on to the next generation of students and lighting the way for years to come. Using my experience in research and my own personal experience of traveling throughout Russia and encountering the world firsthand, I aim to accomplish this goal and contribute significantly to the body of work already published in this field. My enthusiasm for medicine developed, believe it or not, from watching Grey’s Anatomy on TV. When the show first debuted in 2005, I was hooked. I knew I had to get into the world of medicine. My first step was to major in biology in my undergraduate years. I did very well in these classes and always balanced out my studies by staying current with what the characters on my favorite show were doing—whether it was Dr. Grey, Dr. Shepherd or Dr. Yang. Just as they were growing in the show, I felt I was growing as a student and advancing towards my aim of becoming a doctor. All I had to do was stay focused and choose an area to go into. To help me make that decision, I shadowed several different doctors at our local hospital. My time spent shadowing Dr. Stern, a heart surgeon, was very encouraging for me. We spent some time talking about the importance of the profession and the skill required. I felt like this was the path I was being called to take, and that is why by the time I was ready to graduate, I had settled on becoming a surgeon. I took the MCAT and scored very well. I was very happy with the advancements I had made in my studies. I celebrated by re-watching every season of Grey’s Anatomy all over again! I hosted a big party for all of my friends who were also interested in pursuing a career in medicine: the show served as a perfect backdrop for us. It had drama, entertainment, and, best of all, scenarios in the medical field which we all wanted to encounter. It may seem silly, but the show really helped us to relax and enjoy our time as we hunkered down individually and focused on our goals. We helped each other study for the MCAT and quizzed one another, preparing ourselves over the months leading up to the test. I will never forget the time and devotion that we all gave to one another during that period. I plan on staying in contact with the good friends I made along the way, but not all of us have the same medical career goals in mind. I along with another friend have decided on applying to this school because it is very well respected as being one of the top surgical schools in the country. I’ve certainly come a long way. I remember falling and scraping my knee as a little child and my mother applying a band-aid to my scratch. I thought then that it was so wonderful how she was able to treat my cut. As simple as that act of care was, it left an indelible mark on me—and I think it is what truly planted the seed in me to allow me to have the respect and appreciation for the field of medicine that I have today. I look forward to passing that seed and that same kind of care on to others. How did I become interested in law? To be honest, a lot of it had to do with growing up on the old courtroom drama Perry Mason. Raymond Burr will forever be in my mind the epitome of the trial lawyer. Whenever I thought of myself as practicing law as a young man, I always imagined myself being like Perry Mason. Perhaps it is ironic, then, that the type of law I plan on pursuing is not trial law but rather securities law. How did I go from Perry Mason to securities law? Well, the answer to that has a lot to do with my father. You see, my father has always been an active investor in the stock and bond markets. From the earliest age, he has taught me how to read charts, examine the company reports of the Fortune 500 companies, and make predictions on what certain tickers would do at a certain time as a result of certain conditions. He taught me to have a love for the marketplace. When, together, we saw a number of friends pile into penny stocks on the Pink Sheets during the height of the marijuana bubble, we warned them that many of these companies would be prosecuted for securities fraud if there was any actual oversight of the sector. When the bubble burst and our friends lost fortunes, we sadly had to shake our heads. I couldn’t blame my friends that much: after all, the hype surrounding the marijuana industry at the time had convinced a lot of people that the promised land of financial freedom was just a short investment away. Unfortunately, many of these companies were making promises they could not keep—and a lot of investors had the wool pulled over their eyes. Ever since then, I have wanted to do something to help bring the market into compliance with the rules and regulations that exist to help people make good decisions when it comes to investing. Thus, my love for Perry Mason and for my father’s passion melded to give me a focus: securities law brings these two worlds together for me and creates a number of opportunities that I would like to pursue. Not only is this school recognized as one of the best schools in the nation for dealing with securities law, it is also close to home. Here I can be close to my family while also working to study, grow, and eventually become a securities lawyer. In this manner, I truly hope to help make a difference in the world—following in the footsteps of my two favorite heroes: Perry Mason and my father. A personal statement does not have to be—and should not be—formulaic. The point of it is to let the real you show. Be thoughtful, be creative—and be yourself. The admissions board wants to get to know the real you. They want a sense of your character, your ideas, your perspective, your motivation, your successes, your trials, your story, your background, you beliefs. Don’t try to act like someone you’re not when you write your personal statement. Make it personal and honest. The three main rules to remember are: 1) pay attention to the prompt and answer all parts of it, 2) provide a thematic framework for your personal statement so that it is focused; and 3) adhere to the word limit. You don’t have to try to “be” unique: just be yourself and your unique qualities and characteristics while be evident. Of course, always be sure to review your personal statement and make revisions before submitting. And make sure you have mentioned why the school to which you are applying is right for you! Be sure to answer the question, if one is asked in the prompt. Always adhere to the word limit: don’t go over and don’t be too far under. Show off: this is the time to talk about your best qualities—your successes, accomplishments, good works, challenges you’ve overcome and people who’ve inspired you. "How to Write a Personal Statement with Examples." Aceyourpaper.com. Student Network Resources Inc, 24 October. 2017. Web. 20 April 2019. Student Network Resources Inc. "How to Write a Personal Statement with Examples." Aceyourpaper.com. 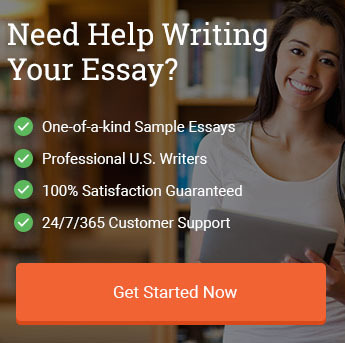 https://www.aceyourpaper.com/essay-writing/personal-statement/ (accessed April 20, 2019).